It takes a heart of stone not to be amused by that tiny, semi-functional umbrella perched on the side of your Mai Tai (and, if you’re not, enough of the latter will eventually do the trick). But its existence isn’t as easy to explain as natural garnishes like citrus slices or mint sprigs. Someone had to consciously choose to add a micro-umbrella to their drink, and someone else had to manufacture it. Who was that person, and who was that manufacturer? My first step on the road to an answer was an email exchange with Jeff “Beachbum” Berry, author of a half-dozen books on tiki cocktails. 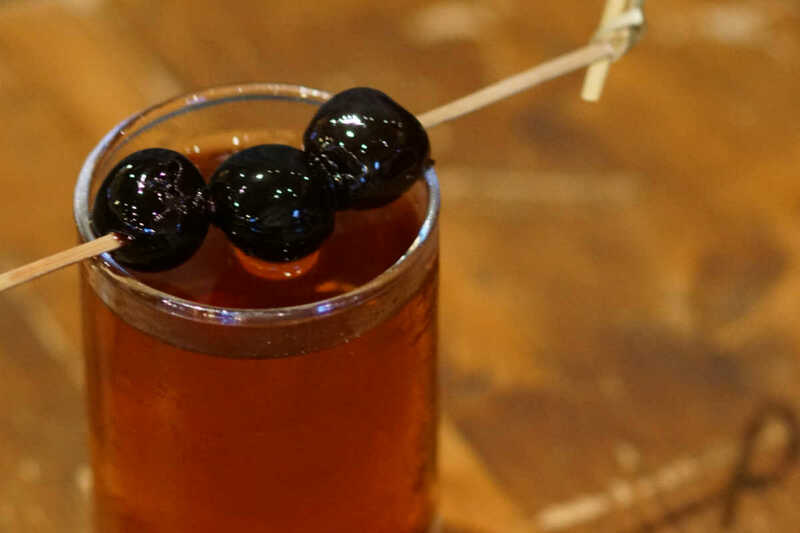 Berry recounted an interview between journalist Rick Carroll and Harry Yee, a former head bartender at the Hawaiian Village Hotel, in which Yee claimed to have created a cocktail called the Tapa Punch in 1959 that featured an umbrella garnish. “He claimed that it was the first ever drink to sport a paper parasol, giving rise to the term ‘umbrella drink,’” says Berry. He adds that “umbrella picks” actually predated Yee’s drink, but isn’t sure of their pre-garnish intent. “Their original purpose is anyone’s guess. Were they used as a food picks? Something to stick in your hair or straw hat? Some sort of party favor would be my guess,” Berry says. Another thing that predated the use of cocktail umbrellas was tiki itself. Berry gives the umbrella little credit for popularizing the genre, pointing out that tiki culture had already seen two decades of popularity before Yee ever reached for a diminutive parasol. 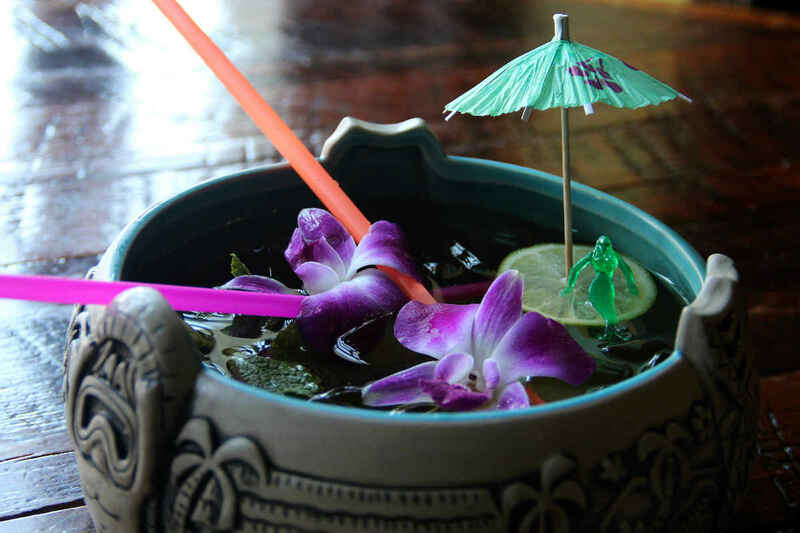 Brother Cleve, a Boston bartender and tiki historian, acknowledges Yee’s hand in placing that first umbrella and describes now-defunct NYC importer Orchids of Hawaii as being the “marketing engine” behind the cocktail umbrella’s rise to mainstream popularity. According to Cleve, Orchids of Hawaii began in 1952 as a flower importer but switched to tiki gear in the 1960s, supplying not just paper umbrellas but also tiki mugs and plastic leis. Over the next decade, Orchids of Hawaii became ubiquitous in the market, and grew to supply thatch walls, blenders, powdered mixers, and more. “Orchids was able to successfully get these products into every Chinese restaurant in the U.S. during the ‘60s and ‘70s, which I see as the beginning of the ‘tacky tiki’ era,” Cleve says. But that “tacky” era also proved to be tiki’s twilight. “Soon those tropical restaurants begin to fade away, replaced by the new tastes of Szechuan, Hunan, and the Benihana chain experience,” Cleve says. Berry, who also cites the late ’70s as the end of tiki’s “Golden Age,” doesn’t think it’s a mystery as to why umbrellas outlived the genre that introduced them. “They’re fun, they’re cute, and they’re cheap for bar owners to order in bulk,” Berry says. But the continued longevity of cocktail umbrellas didn’t do much for their reputation. 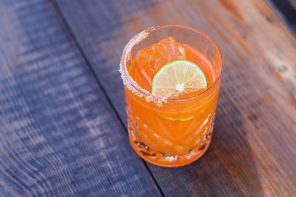 With tiki in the rear view, the garnishes found their way into less-than-reputable drinks, so much so that they gave the bastardized post-tiki genre its name. 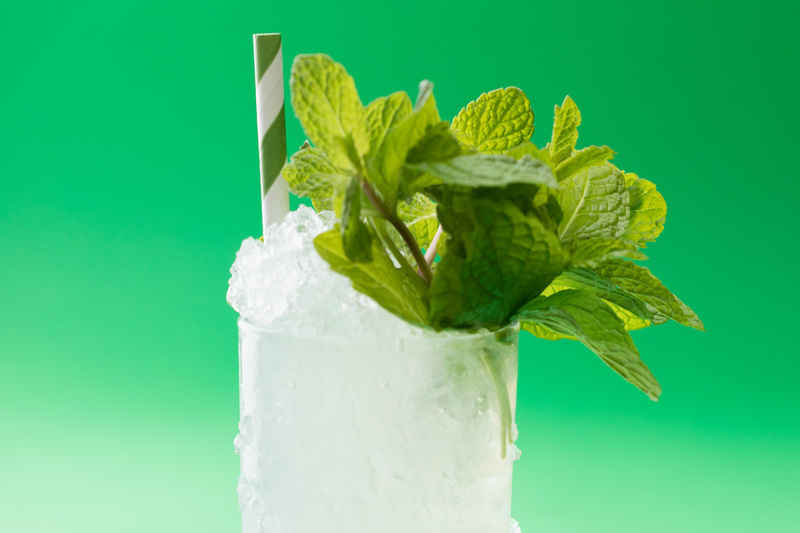 “Any sweet, syrupy, bad version of a tropical drink was referred to as an “umbrella drink,” says Berry. Fortunately for our teeny faux-umbrella friends, they hung around long enough to see tiki’s present-day resurgence and reclaim much of their past glory. Berry believes that they are once again perceived positively. When asked whether future drinkers will continue to see cocktail umbrellas in their mugs, Berry says yes—up to a very specific point.